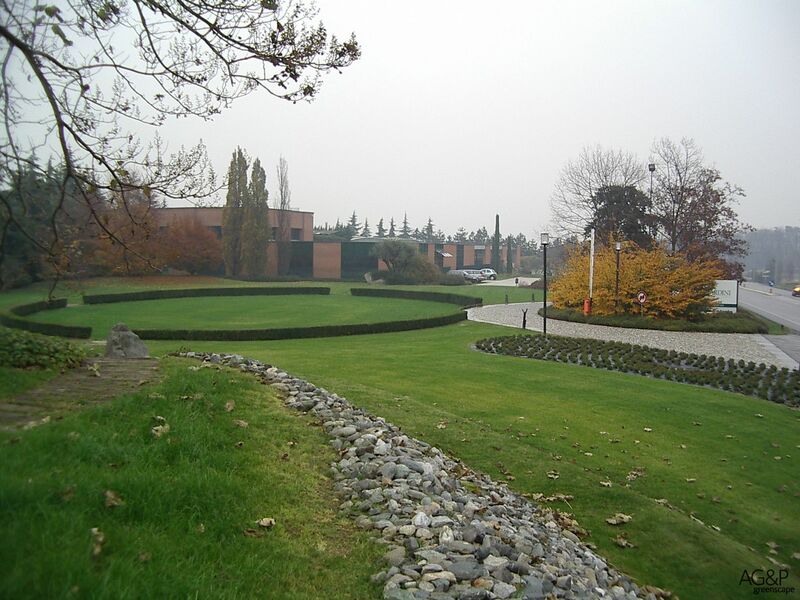 Riva Giardini presents a new headquarters, with an exhibition park in a vast green area. 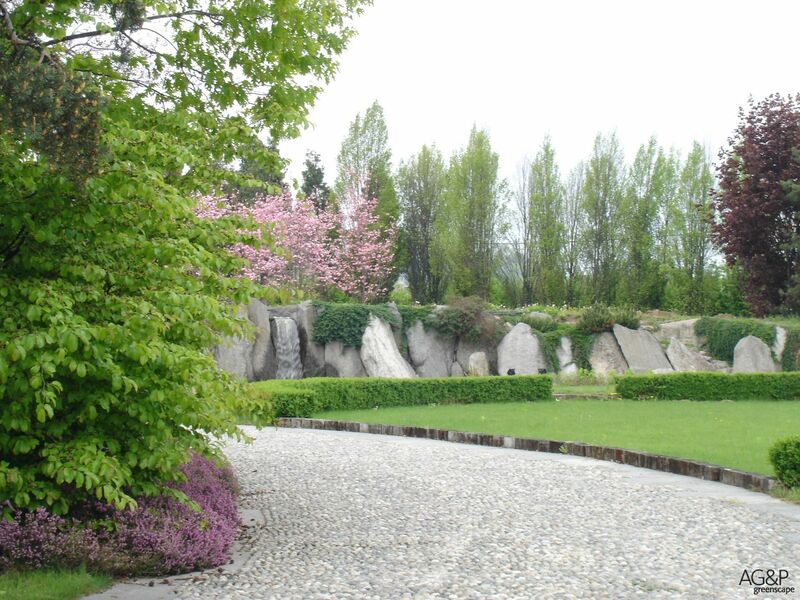 The area is located in Lurago d'Erba, in the province of Como. 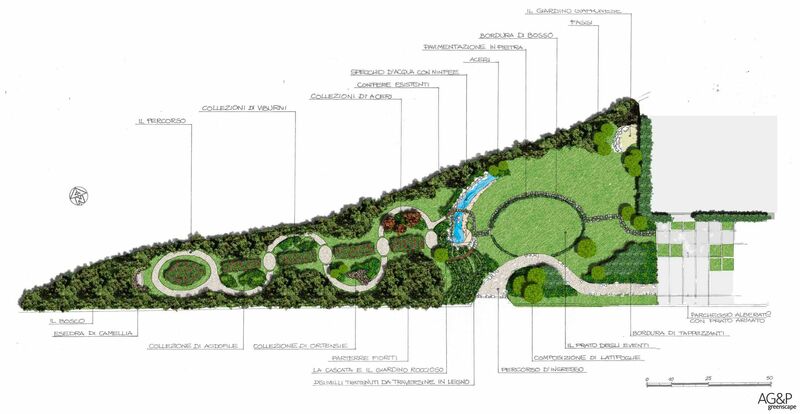 The realization of the project is complex and includes earthworks, flooring, plantations, water games, irrigation, lighting, in order to demonstrate their technical capacity. 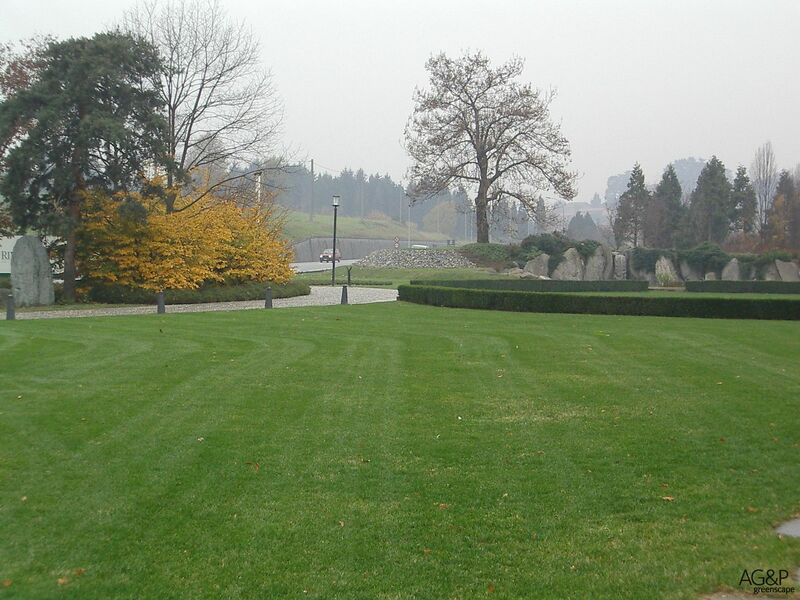 The park has a unitary design although it is ideally divided into three large spaces in communication with each other: the structure with the parking lot, the large lawn of the ellipse and the forest / garden, made in a second time. 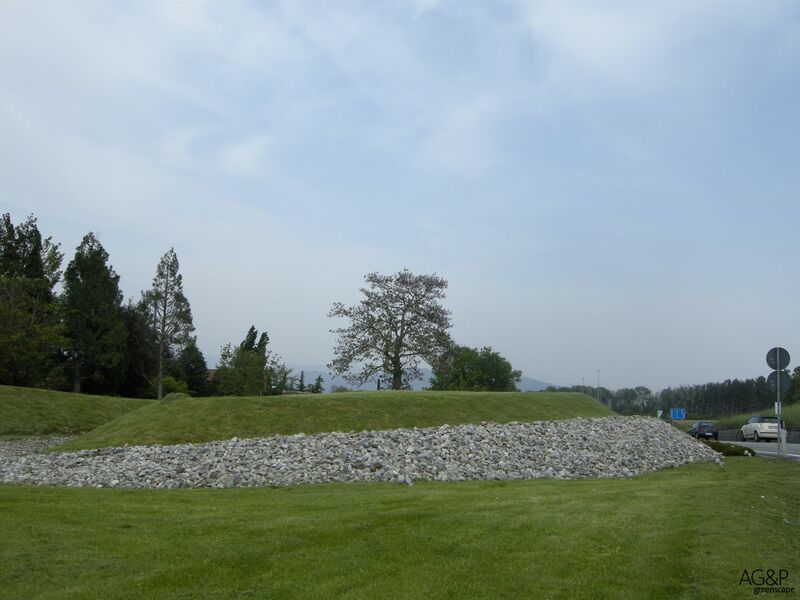 The large lawn of the ellipse is the true heart of the intervention, which meets the "Jump of Rocks" at the bottom of the garden, a work by the land artist Maurizio Russo; an impressive game of rocks recovered on site that solves the existing difference in level. 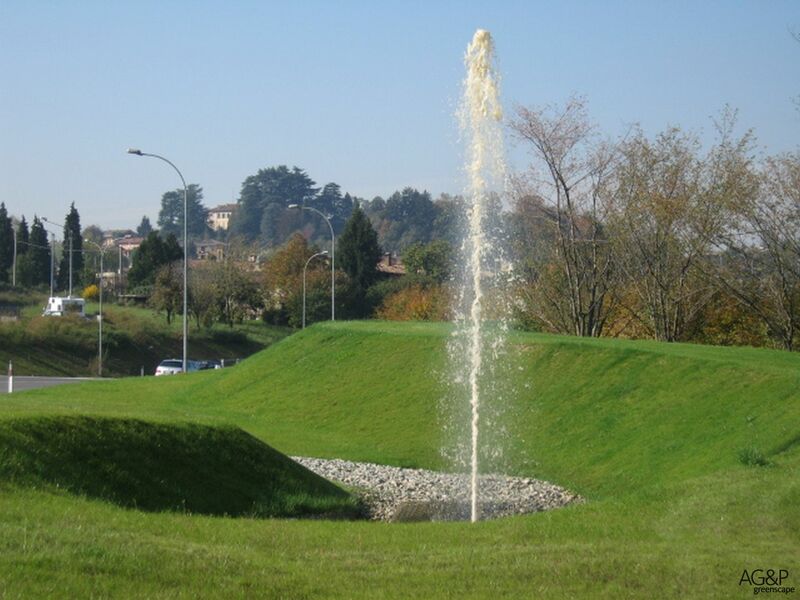 The completion of the project was carried out only seven years after the first intervention in 1999. 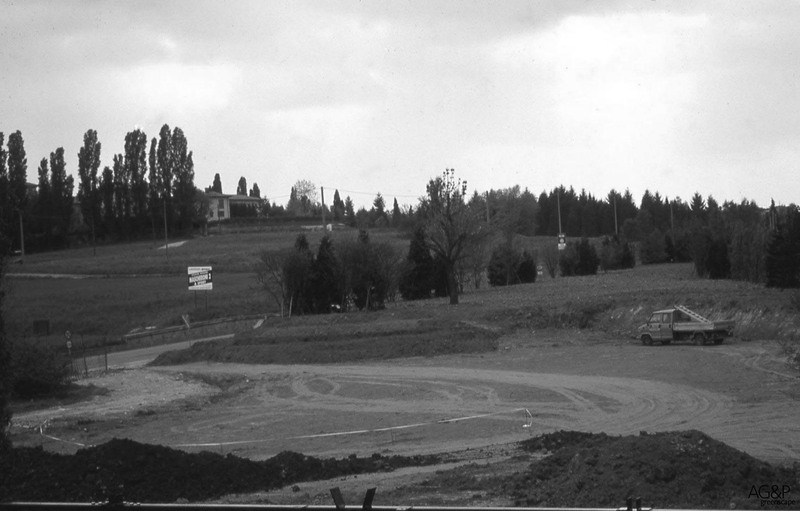 During the works for a new road junction the wall that defined the boundary with the property and lowered the ground level was demolished. The remaining area, too narrow for a functional use, takes advantage of a long roadside view to continue the previous arrangement. 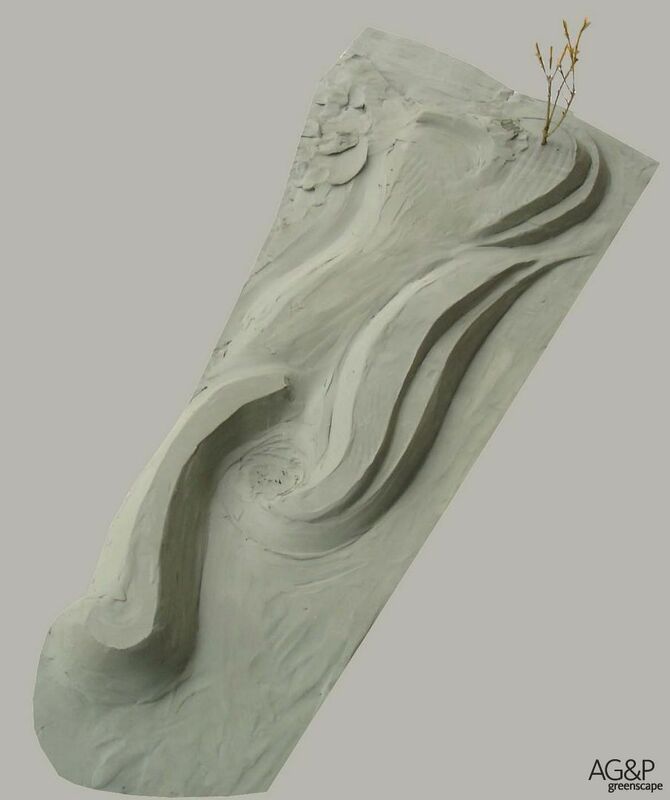 The earth advanced by the earthwork is modeled with planes connected to each other for the passage of the maintenance means. 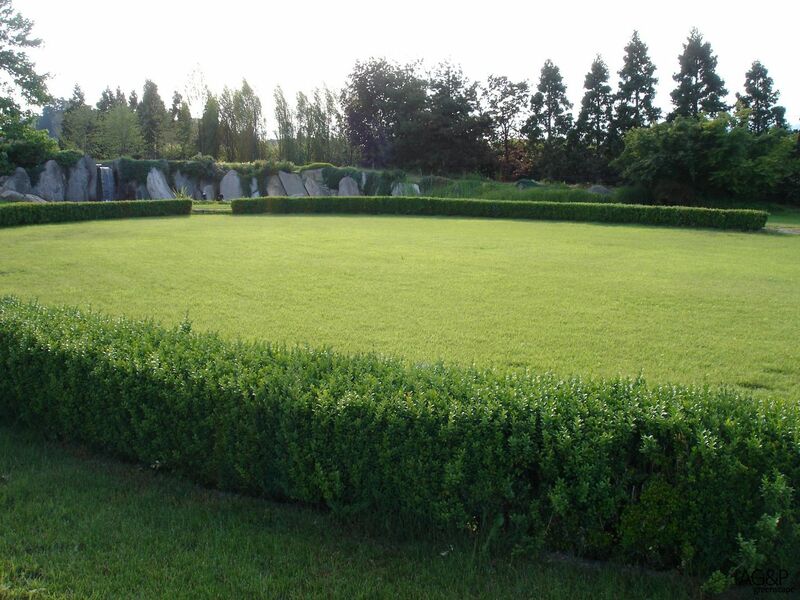 The materials include those already used: lawn, rocks and heather. 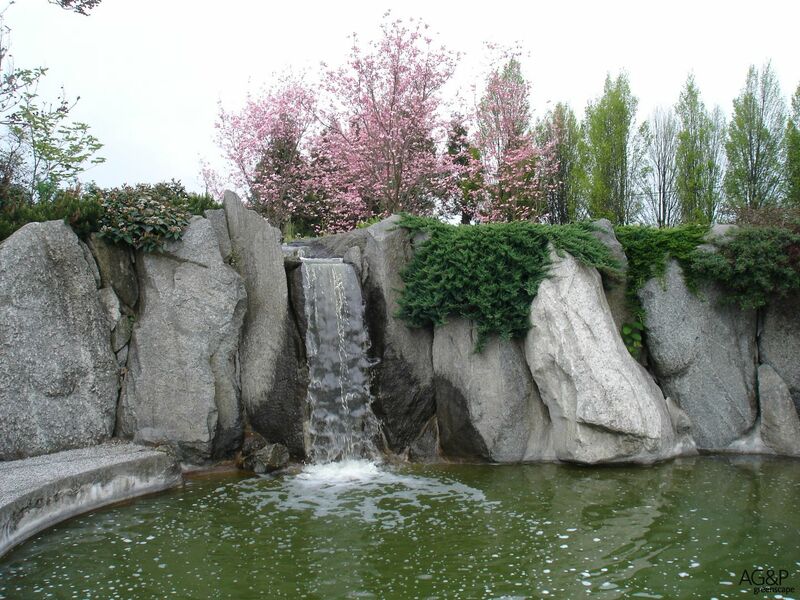 The stone is also used to perform the soil drainage system. The only element of surprise is the jet of water that intermittently dances in the middle of the volutes of earth.